Never mind that Nebraska is 14-3 against Minnesota since joining the Big Ten, or that the Huskers were picked to finish second in the conference to Minnesota’s third this season. The Gophers, against whom Nebraska opens Big Ten play with a three-game series at Hawks Field this weekend, typically include “big, giant, left-handed hitters and guys with really good arms on the mound,” Erstad said. “I mean, they recycle those guys . . . Most recently, TCU found that out, losing two of three to Minnesota at Ft. Worth last weekend, wins that gave the Gophers a 14-8 record going into Friday’s game, first pitch 4:05 p.m. The game was originally scheduled for a 6:35 first pitch, but with rain in the forecast the start time changed. 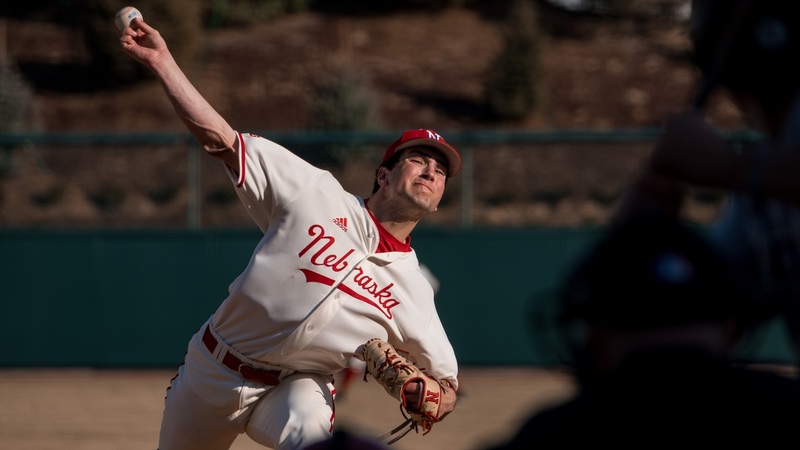 The 12-9 Huskers are coming off an 11-10 Wednesday victory at Oral Roberts in which they jumped out to a 5-0 lead then had to battle back from an 8-6 deficit after six. Erstad is properly respectful of Minnesota, of course, but his respect appears to be justified. The Gophers lead the Big Ten in hitting, with a .308 average, and rank second in pitching and defense. Their staff earned-run-average is 3.42. Terrin Vavra, who bats from the left side, leads Minnesota’s hitters with a .414 average and 23 runs-batted-in. Five other Gophers with 45 or more official at-bats are hitting over .300. Luis Alvarado, Nebraska’s Friday starter, is 1-1 with a 2.54 ERA and 31 strikeouts in 28.1 innings. The senior right-hander has walked only six and allowed just one extra-base hit. Gophers’ starter Reggie Meyer, a junior right-hander, is 1-2 with a 3.38 ERA. The good has been really good. Repinski leads the team with a .365 batting average and has scored 20 runs, tying for first on the team with Scott Schreiber, Mojo Hagge and Angelo Altavilla. Nebraska’s offense has been inconsistent. The Huskers have hit .266, eighth in the Big Ten. Jesse Wilkening continues to lead Nebraska with 25 RBIs and is batting .342. Because of shoulder soreness he’s been the designated hitter. But he should be back catching this weekend, according to Erstad, so “hopefully we can find some consistency as far as defensively,” Erstad said. That’s even more important given the Huskers’ pitching-staff injuries. Nebraska ranks ninth in the Big Ten with a 5.01 team ERA. The bullpen has allowed 20 runs in the last four games.